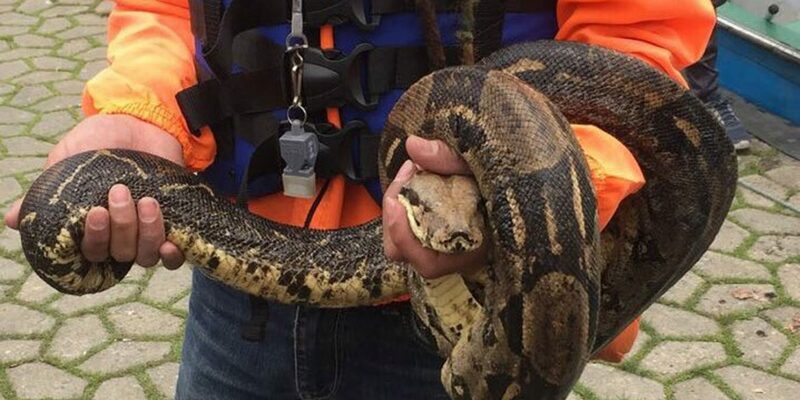 Environmental authorities in Colombia’s capital Bogota have found a five-foot boa constrictor in a park in the center of the city of seven million, they said Sunday. The snake was found in the Simon Bolivar park on Sunday just minutes before it gave birth to a baby snake. Because boa constrictors can have as many as 30 babies at once, environmental officials conducted a search to verify if the mother snake had left more offspring in the popular park. The authorities said they believe that the snake was abandoned in the park by a resident or an illegal wildlife trader. Wild animals like boa constrictors are not allowed as pets. The mother and baby boa constrictors were taken to an animal care center for testing and is expected to be returned to nature.